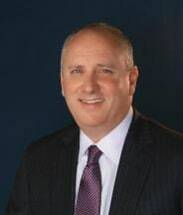 With more than 25 years of experience, Mitch has spent his entire career representing and counseling businesses in a wide range of employment law and business matters, including individual and class action wage and hour lawsuits, wage and hour and audits, Immigration and Customs Enforcement audits, employment investigations, wrongful termination, discrimination, retaliation, harassment claims, trade secret and shareholder disputes. Mitch counsels employers throughout California in a diverse range of fields, including action sports, automotive, apparel, retail, food service, hospitality, advertising, manufacturing and technology as to how to avoid and prevent employment disputes. He also regularly trains management and supervisors and speaks to employer groups in the areas of harassment, discrimination and retaliation prevention and human resources best practices. Mitch practices in both state and federal court and also before the United States Equal Employment Opportunity Commission, the California Department of Fair Employment and Housing, the United States Department of Labor, the California Department of Industrial Relations, Division of Labor Standards Enforcement, the Employment Development Department of the State of California and the U.S. Immigration and Customs and Enforcement division of the U.S. Department of Homeland Security.